The publification is available for €15 (30% Discount for Members to €10), plus P&P. The book is presently only available through the museum directly, but after the 20th April, it will be available online or through a variety of bookshops in Donegal and Derry. 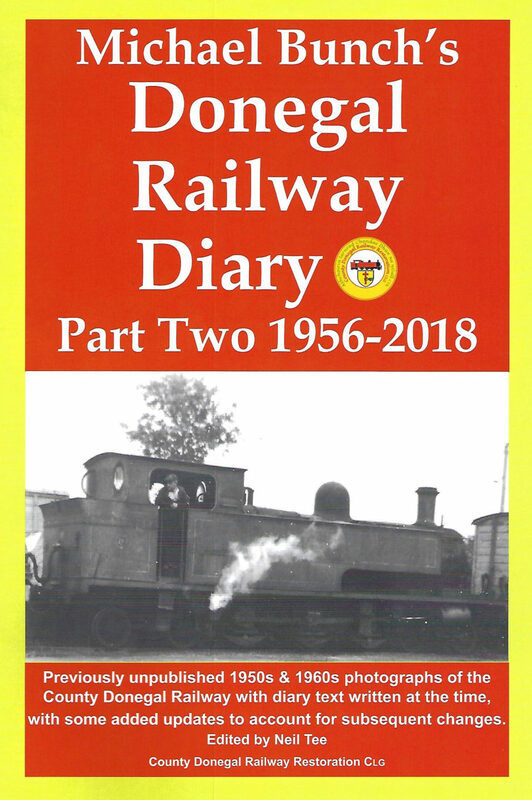 It is also worth noting that several of our publications including Donegal Railway Diary, Part One 1954-1955 is also available as well as “Though the Hills of Donegal”, “Londonderry and Lough Swilly Railway” and “Drumboe The Donegal Engine” are still available. This Project is funded by the Leader Rural Development Programme, 2014-2020. Additional support was also provided by Andrew Hall, Robert Knight & Dave White. You are cordially invited to the Book Launch of the eagerly anticipated launch of "Michael Bunch's Donegal Railway Diary, Part Two 1956-2018"
The publification is available for €15 (30% Discount for Members to €10), plus P&P. The book is presently only available through the museum directly, but after the 20th April, it will be available online or through a variety of bookshops in Donegal and Derry. It is also worth noting that several of our publications including Donegal Railway Diary, Part One 1954-1955 is also available as well as “Though the Hills of Donegal”, “Londonderry and Lough Swilly Railway” and “Drumboe The Donegal Engine” are still available. This Project is funded by the Leader Rural Development Programme, 2014-2020. Additional support was also provided by Andrew Hall, Robert Knight and Dave White.